I’ve changed my mind about my purchase. What are the conditions of return? I shopped with my local online Representative. How do I return or replace a product? I shopped directly with Avon online. How do I return or replace a product? If you have ordered directly with Avon and had your parcel delivered either to home or ParcelShop, you have two easy options to return for free. Contact Hermes to arrange a collection from home. Hermes will then email your returns label directly to you which must be printed off and attached to the box. You can also find the label in your order box. Your Hermes courier will then collect at the agreed time. Please complete this and attach to the outside of your returns package. Be sure to package your returns carefully (they need to be received in good condition in order for us to process your refund). For a full refund on products with a free gift, please return both or your refund will not be processed. I’ve placed my order online, how soon will I receive my refund? Your credit/debit card will be credited once we’ve received and processed your return. The credit may not show up on the very next statement you receive in the mail unless it is within your credit/debit card company’s billing or statement cycle, but it should appear on the next one. We want you to be completely satisfied with your purchase. Therefore, your satisfaction is 100% guaranteed. We’ll be glad to exchange your item or refund the full price if you choose to return it within 28 days of delivery. Special terms apply to certain products (such as lingerie) but these are clearly indicated. The Avon guarantee is in addition to your statutory rights (see below). For a full refund on products with a free gift, please return both or your refund will not be processed. 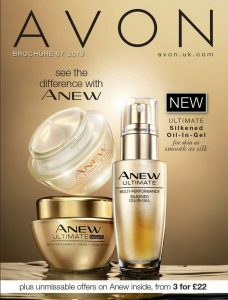 In addition to the rights granted by Avon above, you have a statutory right to cancel your order at any stage after acceptance of your order by Avon, and up to 14 days after receipt. Please note, this right to cancel does not apply to items which are unsuitable for return due to health protection or hygiene reasons, if they become unsealed after delivery (unless they are faulty). If you wish to cancel your order in accordance with your statutory rights, print and complete this form and send it via email to uk.contact@avon.com or by post to Sales Service Centre, Avon Cosmetics Limited, Earlstrees Road, Corby, Northamptonshire, NN17 4AZ. Alternatively, if you have already received the items, just follow the returns process above.